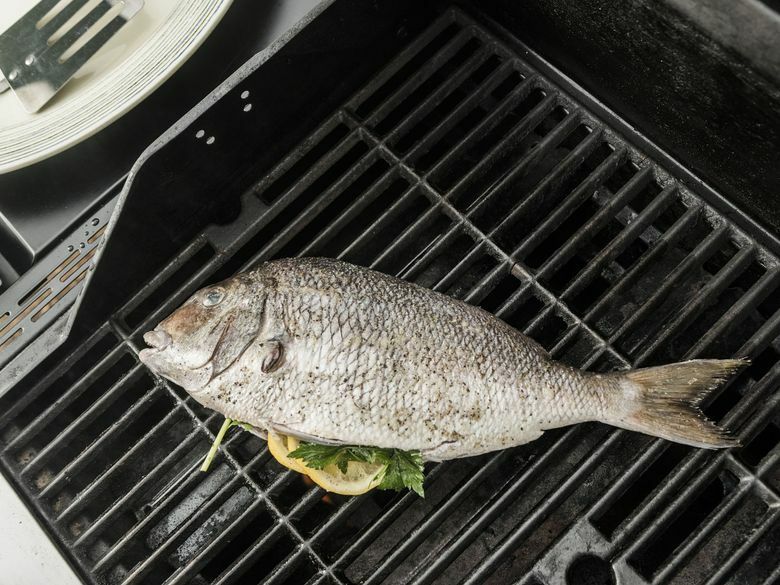 Fish and seafood are good for brain and heart health, but 80 to 90 percent of Americans don’t meet the recommended intake of two to three servings (8-12 total ounces) of fish and shellfish each week. Average seafood consumption is only 2.7 ounces per week, or about one-third of the recommended intake. Why the disconnect? For many, the environmental impact of overfishing is a major concern. News reports of incidents like the large-scale escape of farmed Atlantic salmon near the San Juans in 2017 raise concerns about the impact of aquaculture on wild fish populations. But could it be possible to make the healthful choice — eating more fish and seafood — sustainably? Before dismissing farmed fish, keep in mind that both wild fisheries and fish farms can be well-managed and sustainable — or not. For centuries, the seas and oceans were considered to be a limitless source of food, but unsustainable fishing practices have led to overfishing, which means more fish are caught than can be replaced through natural reproduction. Even worse, specific fishing methods also destroy aquatic habitats and ecosystems, erode coastal economies and kill animals not being fished. Known as “bycatch,” denoting their status as innocent bystanders, these animals include sea turtles, marine mammals, sharks and albatross. According to the National Oceanic and Atmospheric Administration (NOAA), production from wild fisheries around the world plateaued in the mid-1980s, and even with improved management, is not likely to increase significantly. Meanwhile, consumer demand for seafood has risen. A report recently released by the global EAT-Lancet Commission on Food, Planet, Health, which I wrote about last week, pointed out that about 60 percent of world fish stocks are fished to capacity, and over 30 are overfished. The authors called for both improved management of the world’s oceans and sustainable expansion of aquaculture, aka fish farming. According to the Monterey Bay Aquarium Seafood Watch program, aquaculture may be the solution to the increasing pressures on our ocean resources. Fish farming is nothing new — it’s been in practice for hundreds of years in some parts of the world, even if the term “farmed fish” makes some seafood lovers grimace. To help meet the growing global demand for seafood, aquaculture is on the rise. According to NOAA, worldwide aquaculture production has increased annually by 8.3 percent since 1970. Current estimates indicate that half of seafood consumed worldwide and in the U.S. is farm-raised, with that percentage expected to reach 62 percent by 2030. Unfortunately, the U.S. lags behind in aquaculture production, ranking 13th in the world, one of the reasons we import 90 percent of our seafood. Although federally managed U.S. fisheries are improving, and overfishing rates are decreasing, domestic wild fish can’t meet demand, especially if more people start eating the recommended amount of fish and seafood. Sustainable aquaculture operations have very little environmental impact because they use practices that limit disease, fish escapes, damage to natural habitats and use of wild fish as feed. One example of sustainable U.S. aquaculture is Colorado Hybrid Striped Bass, produced by the family-owned fish farm Colorado Catch. According to NOAA, many countries are investing in sustainable aquaculture research and development and developing systems for regulation. To take the guesswork out of buying sustainably, look for the Best Aquaculture Practices certification labels. The Global Aquaculture Alliance administers this third-party certification to seafood products that come from facilities managed in an environmentally, socially and economically responsible manner.